'Christmas and New Year Greetings from Mr. and Mrs. E.D. 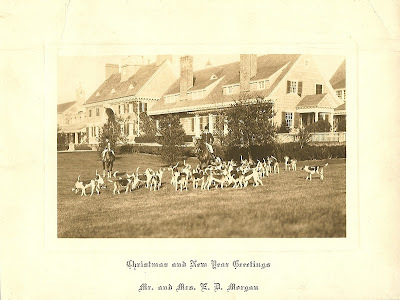 Morgan' of 'Wheatly', designed by McKim, Mead & White between 1890-1900 in Old Westbury. Click HERE for more on 'Wheatly'. 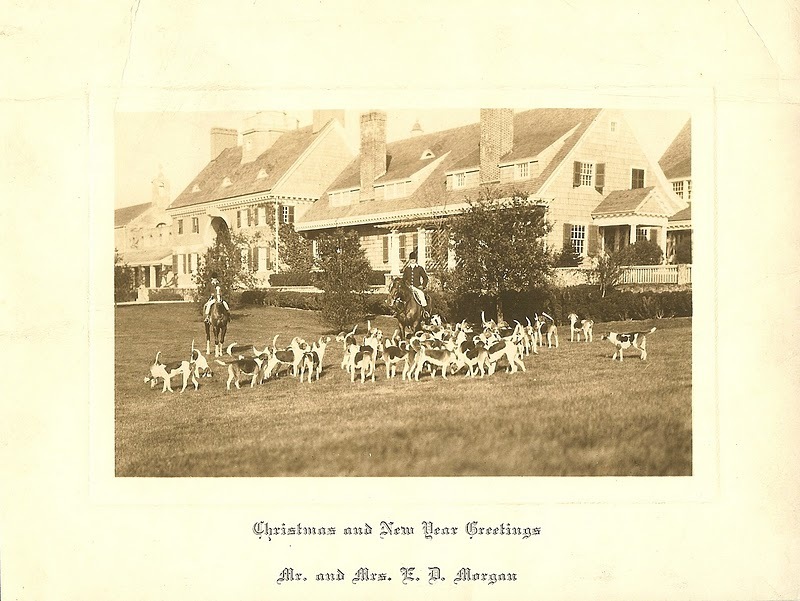 Card from the Elizabeth Morgan Jay Etnier Hollins archives. Marvelous. The family pictures give views and angles---and a sense of how the properties were used. Very evocative. THANK YOU, Zach !!! What a wonderful image to enjoy while putting a cap on the old year and to begin the new !!! Please give an update on Otto ! Best wishes for the new year, Zach! I love this place!! I wish for a happy and fruitful New Year to all!